Our Intensive Behavioral Treatment is geared towards using empirically validated intensive behavior interventions, using methods of evidence based Applied Behavioral Analysis (ABA) to facilitate skill acquisition which allow for more independence. A goal of this intervention approach is to provide a strong foundation of functional skills, and appropriate replacement skills which can generalize to natural settings. Too many treatments in the past were so unpleasant that the child had to be dragged into the learning session, which caused unpleasant behaviors to start out with, and ignoring the behavior or even punishment was seen as the only alternative for the adult to prevent loosing control. In contrast, we promote individualized family centered and child friendly approaches, allowing the child to have fun while learning. He/she may not even realize he/she is “working”, because he enjoys what he/she is doing. 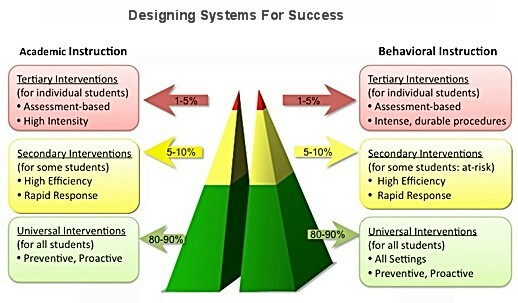 The behavior intervention techniques are designed to fit into family daily interactions, therefore immediately improving family life. Parents learn what tools to use to create the right circumstances for adequate behavior. Behavior Interventionists partner with the parents going through this therapy process. That does not mean this will often be an easy process. But there isn’t anything the child can not master over time, with continuing perseverance guided by the behavior interventionist. However, parents who give up on the goals they have for their children will cause them to fail. Find ways to appreciate your child, by focusing on his strengths and celebrating his progress. If a child is exhibiting problematic behaviors, you can intervene, decreasing the negative behaviors, by introducing and reinforcing positive behaviors that take their place. We focus at one symptom at the time, knowing that each child is different. By taking each symptom your child gradual steady improvement in the child.